The wedding planning business will never die and that is a fact. Even though fewer and fewer people are tying the knot and the ones that eventually do it decide on it at an older age, they are willing to spend more and more money on the most special day in their lives. This means that they are more focused on their careers, so they value their precious time in that direction which can only mean they need these services. People will never stop getting married, because you can never stop love. If you are an excellent planner, keep track of everything and like to work on a tight schedule, you are probably fit to work in the wedding consultancy industry. You’re probably wondering what exactly does the work of a wedding consultant imply. If you work in this beautiful business, you should know that you will most likely have to do everything from finding the wedding ribbons UK, to finding the band or the DJ for the best music at the party. You definitely have to rely on your imagination and creativity a lot, you also have to be a great time and finance manager and a mediator between the happy couple and all the providers. Nevertheless, it is a very stressful job and if you’ve ever been a part of a wedding you should know the amount of decisions you have to make on basically everything. However, the joy of building somebody’s dreams from scratch so they can have the best experience in their lives is priceless. This job is food for your soul (and tummy) if you have patience and dedication and the bride and groom will be forever grateful for your great help. The costs of starting a wedding planning business are not as high as you’d think, but you have to have some savings to manage the beginning of this story. To save some of the money, you can choose to work from home, because you won’t have to pay for rent for an office. You should however invest in appropriate clothes and some office equipment. According to some statistics, wedding planners that work for a company earn a salary of around 38600 pounds a year, although it can differ depending on the situation and the set prices. For self-employed wedding consultants the earning may differ even more, depending on how they decide to charge for their services. Some charge by the hour, some have a standard fee and some earn from the percentage they take from the total income. How is Canada one of the most favourable business environments? A favourable business environment is crucial for all businesses, being the determinant element if a company will be able to grow in a healthy and sustainable manner. However, not all countries around the world benefit from such economic environment. 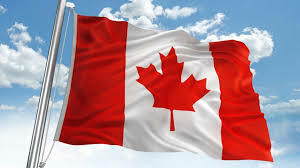 Canada, on the other hand, has a constantly growing, friendly business climate, which makes out of it the go-to alternative for investors looking to improve the capacities and potential of their enterprise. Luckily, the Canadian government offers different kinds of programs of Canada immigration application for investors, helping them grow on the local markets. This, combined with the assistance of agencies helping immigrants with their application, makes the perspective of moving a business in Canada a tangible one. Below are some types of programs helping investors immigrate to this great business location. Three programs specially designed for entrepreneurs are available on Quebec, all offering potential investors the possibility of opening new business or moving existing ones in Canada. For them, the Entrepreneurs Program for immigration is a good option. As a general rule, investors must have a profit of least $ 300,000, obtained in a legal manner, and two years of experience as a manager. For a smoother process, a good advice would be to get in touch with an agency specialised in immigration processes, as it is not the most simple activity you could become involved in. While being self-employed has numerous benefits, you can only make the best out of it if the economic context is helping as well. Canada also provides self-employed individuals opportunities for immigrating. A requirement for those who apply to such a program they must know they have to represent a notable source of culture for Canada, as well as a relevant experience in the targeted field. Alternatively, applicants should have the capability of farm management and proper levels of experience in the field, due to the fact there is a specific part of this program. As well, for a smother immigration process, you should probably collaborate with an expert team in terms of immigration issues. This program enables investor to also contribute to Canada’s business environment. While there is not an exact definition of the “contribution” term, if you collaborate with a consultant in immigration problems, they might help you find out if you are a viable candidate for a start-up VISA in Canada. Their advices are great sources of identifying opportunities this country offers for diverse entrepreneurs, as well as the necessary guidance in the process. Take these pieces of information provided previously and get in touch with a team that can assist you in the immigration process. Maybe there is another program that fits you more, and they can make good suggestion for this purpose as well. Remember, a good consultant will make the entire process smoother and faster, while you will be able to enjoy your new life in Canada afterwards. People who want to start their own companies are trying to find a business idea that is perfect for them and one very good idea is to found a windows washing company. It is true that starting a business from scratches can be quite challenging and demanding, because there are certain important aspects you have to consider in order to make things work, such as investing money in water fed pole systems and other cleaning supplies and equipment, promoting the business properly and so on. However, the moment your profits increase, you will understand that everything was worth in the end. Here are the main questions to ask yourself before starting a windows washing business. What are the needed tools and products? The first step you have to make when starting such a business is to do some detailed research on the internet and look for professional and reputable companies that provide cleaning equipment and supplies at reasonable prices. There are numerous such companies on the online market that provide some special discounts to their customers, especially if they buy wholesale, so make sure you target those companies and benefit from the best deal on the market. Besides having a water fed pole system, with the aid of which you can clean those high windows, you also need efficient cleaning products that will make your work easier, so make them your priority. Why is important to check the competition? You should know that checking the competition is a very important step in this process, because you need to know who are your competitors in the industry, whether there is already a competitor in the region that has managed to corner the market or not and whether you can make people change their mind and choose your company over those competitors. In case in the region where you want to start your business there is already another one, you should come with some great offers that are impossible to refuse in order to attract customers and make them become interested in resorting to your services. What is the best promoting strategy? When starting a business, regardless the domain or industry in which the activity is performed, it is highly important to take into account designing a strong marketing campaign, because this is how you will increase the number of customers and automatically the company’s profits. You should start with creating a website for your company, as well as accounts on those extremely popular social networks. It is commonly known that people spend numerous hours a day browsing the internet and checking their Facebook or Twitter page, so you can turn this into your advantage and promote your services via the internet. This is the most cost-effective marketing strategy available, but you should keep in mind that resorting only to one strategy might not prove to be efficient. You can also resort to guerrilla marketing, having the logo of the company printed on uniforms and cars or spreading leaflets, so you might want to consider all of them to benefit from the best results. Although you cannot turn selling recyclable materials into a profitable business, you can make some money out of scrapping metal. You can make good earnings and you do not even have to put in a great deal of effort. Basically, you can take advantage of the demand on the market if you know where to look. The great news is that there are many places where you can come across excellent disposable items, some of them being very close to home. If you genuinely want to make money with scrap metal Toronto, you should keep in mind the some aspects. In what follows, you have everything you need to know about metal recycling for money. One of the best places where you can look for scrap metal is around the house. Appliances are a great source as, which are the first items to consider on your treasure hunt. They have a number of copper wires, but unfortunately, people throw them away not knowing how valuable they can be. So, should an appliance in your home break down, you should save the copper wire. Keep in mind that you can even sell your washing machine. Appliances with electric components in particular have materials inside that have financial worth, but you need to disassemble them first. If you do not have anything worthwhile around the home, see if the neighbors have anything to spare. One of the basics of selling disposable items for money is actually figuring out what kind of recyclable materials you have in your possession. The reason why this is highly important is that not all recyclable materials are equal, which means that they are not all worth the same. If you want to get the most out of your disposable items, it is time you learned the difference between paying and non-paying recyclable materials. Copper is largely considered the most valuable, being part of the non-ferrous class. However, you should also take into consideration aluminum, brass and lead. Brass, for example is used for making locks and ammunition, reason why it has monetary worth. You can also turn in non-ferrous metals, but you will not rewarded very much. In order to be sure that you are getting the best price for your scrap copper, you should divide our findings. Of course the quantity is important when selling your recyclable material, but the better organized our load is, the more money you stand to make. In this sense, it is necessary to separate ferrous metal from non-ferrous metal before turning it over to the buyer. Equally important is to clean the materials, which implies making sure that there are no extra attachments. If you do this, the buyer will be more open to what you have to offer and implicitly offer you a better price. Once you have done this, you can haul the scrap into your truck and take it to the recycling company. Many people who work in the corporate system feel the need to escape their daily routine and quit their job in order to open their own business and become their own boss. If you are one of those persons, one great business idea is to open a sports facility centre, for instance one designed for those interested in playing five-a-side football. The first step you have to make in this journey is to do some research on the internet and check the competition, so websites such as http://www.5aside.org might be a good place to start. Here are the most important facets to keep in mind when opening a five-a-side facility centre. One important step in creating any business plan is to take a moment and think about your mission. It is important to know what your business’ objective actually is in order to have a clearer idea upon how the business plan should develop. Experts recommend writing these objectives on a piece of paper at first for instance, since this can help you a lot in building your business. This is another facet businesspersons have to take into account even before making their way through the market. Doing some research online and checking the competition will help you understand what other sports facility centres offer their customers and in what way you will be different from your competitors. Think about what services you can provide and about the price your customers will have to pay for benefitting from your services. It will help you focus more on the details that actually make the difference between you and others on the market. When starting a business, you need to have a clear image regarding the group you are targeting. Build your business in a way that people interested in five-a-side football in this case would want to come to your sports facility and benefit from the services you offer instead of going to other competitors. Last but not least, after opening your sports facility centre you have to think of the best methods of promoting your business. In the past years, many businesspersons and promotional agencies have understood that promoting businesses via the internet is one of the best options. Since many people spend a great deal of time browsing the internet, it has become the main means of marketing and promoting services. Build a website where you can offer people interested in five-a-side football detailed information about your facility. Things such as the exact address of your sports facility, the prices for the services you provide and even a little bit of history of the centre are things people would like to know. Keep in mind that social networks are a powerful marketing tool too, so creating accounts on the most popular networks will definitely boost your success. Overall, these are some useful ideas businesspersons should take into consideration whenever they want to start a business, regardless the domain or industry in which they want to perform their activity. If your business partners have travelled a long way just to be able to attend your corporate event or party, a thoughtful thing that you could do is offer them airport transfer and special transportation. Of course, you could choose a common taxi company, but how about renting a private car to wait them in front of the hotel where they are staying? This idea is quite impressive and will definitely show them how much you appreciate them. In addition to this, it is the clear proof of the fact that you are willing to invest in your collaboration. Even if your business partners or guests are living in the same city, you can still provide them transportation to the party venue and a private car seems to be the best way to show them you value their presence. If you are living in Australia, it would be a nice idea for them to tour or see Australia’s wild animals. A foray in the amazing Australian life will seem an interesting and unique experience. So if you want to have them a unique experience of Australian wildlife, get in touch with a company that offers private stage shows involving wild animals. Whether you want to hold a giant snake or a crocodile, or you just want to see natural wildlife displayed in a large vivarium, you will be able to do this if you hire a firm offering these services for corporate events. No matter what type of event you organise, be if a corporate one or a team-building, you must use the occasion for advertising. Marketing plays a crucial role for the success of a business. Take advantage of this opportunity and hire a professional photographer to take pictures of the participants, partners, guests, employees and so on. Make sure they capture the most interesting moments: speeches, awards ceremony, friendly conversations or signing new partnerships. Those images may be just perfect for your future press release or for the official page of your company.